Black SUV/Crossover, black on the inside with sunroof and bluetooth system. 20″ wheels. Reduced price! Blue Land Rover Range Rover Sport SVR from 2016 with grey interior. Imported spec 2014 Land Rover featuring 360 degree camera, leather seats, paddle shifters. Black with grey interior. GCC spec 2018 Land Rover with DVD-player, 21″ wheels and Moonroof. Price reduced! Reduced price! White Land Rover Range Rover Sport Autobiography (2014) Inclusive VAT from 2014 with beige interior. GCC spec Land Rover with AUX audio in, 21″ wheels and Multiple off road option selector. Price reduced! 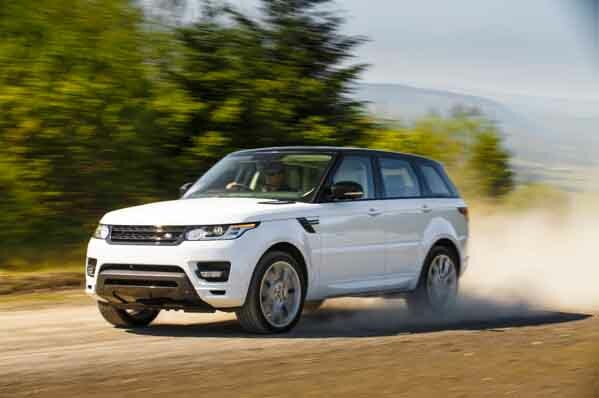 2014 Land Rover Range Rover Sport Supercharged with Rear camera, 21″ wheels and Spoiler. Price reduced! Reduced price! Black Land Rover Range Rover Sport SVR from 2016 with red interior. 2015 Land Rover Range Rover Sport SVR with Power windows, 21″ wheels and 4WD. Price reduced! GCC spec, red 8 cylinder SUV/Crossover with red interior. It has side steps and navigation system. 2016 Land Rover Range Rover Sport HSE, priced at AED 235,000, with features such as refrigerator, navigation system, power windows. It has tan interior and is White. GCC spec. Imported spec 2014 Land Rover Range Rover Sport Autobiography, 6 cylinders, brown SUV/Crossover with brown interior. It comes with CD player and 360 degree camera. 8 cylinder brown 2010 SUV/Crossover. Brown interior. Airbags (front and side), 21 inch wheels and tuner/radio. Price: AED 64,000. 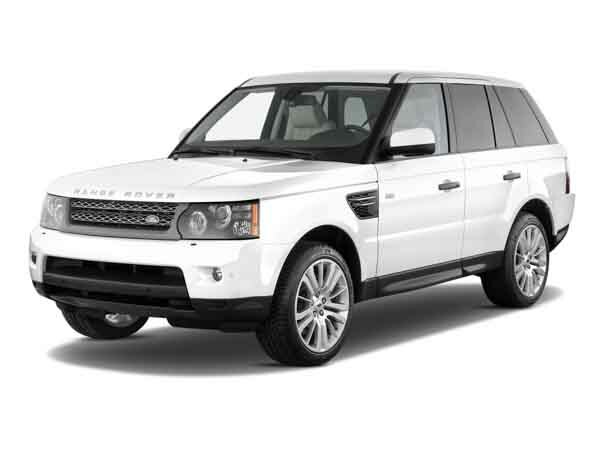 2013 Land Rover Range Rover Sport Supercharged with features such as air conditioning, 4WD, power windows. It has beige interior and is Green. GCC spec. Automatic Land Rover Range Rover Sport Supercharged with 18 inch wheels, CD player, tuner/radio, red on the outside, beige interior. Land Rover Range Rover Sport HSE IN PERFECT CONDITION UNDER DEALER WARRANTY ! BEST DEAL ! White SUV/Crossover with black inside. It has bluetooth system and 4WD and has 21 inch wheels. Land Rover Range Rover Sport SVR 2015 IN PRISTINE CONDITION - UNDER MAIN DEALER WARRANTY! GCC spec blue SUV/Crossover, black interior with AUX audio in, alarm and a 8 cylinder engine. Grey/Silver 2011 8 cylinder SUV/Crossover. Price AED 68,000. Black interior. It has front camera and moonroof. GCC spec 2014 Land Rover Range Rover Sport Autobiography, white SUV/Crossover with beige interior. It features xenon headlights, 22 inch wheels and cooled front seats. Blue SUV/Crossover, beige on the inside with 4WD and bluetooth system. 21″ wheels. Automatic 2010 Land Rover Range Rover Sport HSE price AED 69,000, with 20 inch wheels, analog clock, roof rails, beige interior, blue exterior. GCC spec. GCC spec 2014 Land Rover Range Rover Sport Supercharged, white SUV/Crossover with tan interior. It features 360 degree camera, 21 inch wheels and tuner/radio. Automatic Land Rover Range Rover Sport Autobiography with 22 inch wheels, rear camera, parking sensor front, grey/silver on the outside, burgundy interior. Black 2015 8 cylinder SUV/Crossover. Red interior. It has sport suspension and navigation system. GCC spec 2014 Land Rover Range Rover Sport Autobiography, white SUV/Crossover with red interior. It features alarm, 22 inch wheels and 4WD. Land Rover Range Rover Sport HSE for AED 49,500 with many features, including performance tyres, MP3 interface, sunroof. White with brown interior. 6 cylinder white 2015 SUV/Crossover. Brown interior. Navigation system, 17 inch wheels and ABS. Mohammed - Nothing can fault used Land Rover Range Rover Sport model, good resale price, fantastic options and the power from the V8 is flawless! Perfect cars for the UAE! Pros: Interior, power and overall build quality. Cons: Going off road isn’t recommended. Geoff - My import Range Rover Sport SVR is just as good as any sports car! It’s got lots of power, luxurious options and accelerates very quickly. When I go to the race track in Dubai, a lot of people laugh and think they’ll beat me with hatchback, love seeing their faces afterwards! Anyone looking for an SUV to shock people, you’ve got to buy one of these. Pros: Options, power and exterior shape. Anton - Pre-owned Range Rover Sport cars are incredible, the options available, its style, the power the engine exerts is just the best. Only one small problem is that it’s not light on the wallet even with a V6 motor, still I recommend anyone looking for a luxury SUV to buy this. Pros: Options, V6 engine and looks good. Two engines are available; one is a naturally aspirated V6, and the other is a supercharged V8 motor. No matter what trim level you get, the amount of luxury inside is enough to put rivals in their place. Five seats may not seem like enough especially when it comes to an SUV, don’t worry too much about it though as Land Rover offer a third row. Over the years, it got lighter. Fantastic resale value and there is always someone looking to buy used Range Rover Sport in Dubai, UAE. 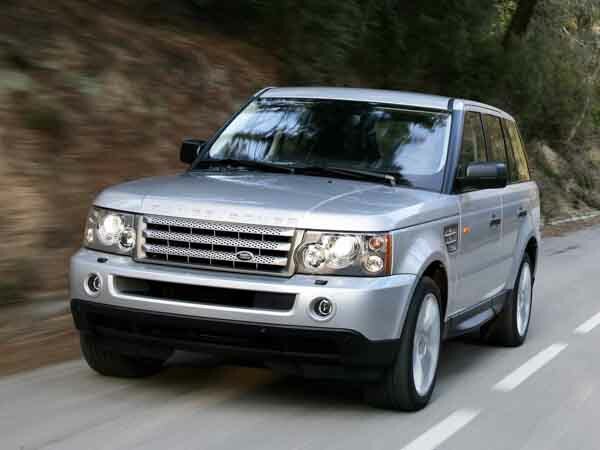 First appearing in 2005, these models had unique styling compared to other Land Rover models and rode on a chassis derived from the LR3/Discovery. It’s wheelbase slightly shorter compared to other Range Rovers and as it had the sports moniker added to the rear tailgate. Leather seats are standard as is power seats, power accessories, cruise control, climate control, DVD, navigation system, media inputs, sunroof and keyless entry. Optional extras include a centre cool box, 20-inch rims added to each corner, rear entertainment package, adaptive headlights and higher quality leather. Safety options include; front and side airbags, ABS, brake assist and all-terrain traction control. Parking sensors and reverse camera are additional. Only the V8 models are available in GCC spec vehicles; one with a 4.4-litre displacement and the other with a 4.2-litre displacement and a supercharger attached. Both are mated to a 6-speed automatic transmission sending power to all four wheels. Diesel versions are only available in export markets. Trim levels included Autobiography, HSE, HST and SE. As with most manufacturers, a new face is attached starting with 2010 models. Small LED’s forming a circle around the headlights and a new grille are the most noticeable while there are a few hard to distinguish modifications to the sides and other areas. As for the interior, leather used is a slightly higher grade, virtual gauge cluster and Bluetooth come as standard alongside previous options, while additional options from the previous years are available with adaptive cruise control added to the list as well. Larger brakes, dynamic stability control, 360-degree camera, hill descent control and an upgraded multi off road selector are added to the list too. Displacements for the V8’s were changed to 5.0-litre each, supercharged models, of course, kept their superchargers and trim names. Fuel economy and power is increased. Out with the old boxy shape and in with more refined circular one with 2014 models and onwards. It may seem as if it’s lost some of its capabilities, however, 360 kilos lighter, made from more durable materials and rides on a slightly longer wheelbase. Basic features include adaptive xenon headlights, 20-inch alloys, parking sensors, reverse camera, touch screen multimedia system with navigation, Bluetooth options and vehicle adjustments and leather seats. Additional features remain similar to previous years with rear cool box, 21-inch or 22-inch rims, ventilated seats and a rear entertainment package. Additionally, the British manufacturer finally listened to customers with a large group of friends or a large family as a third row was added to the options list. The 5.0-litre supercharged V8 motor stays on board with additional horsepower leaving base sport models with 3.0-litre supercharged V6 engine. Both engines are paired to an 8-speed automatic gearbox that powers all four wheels. 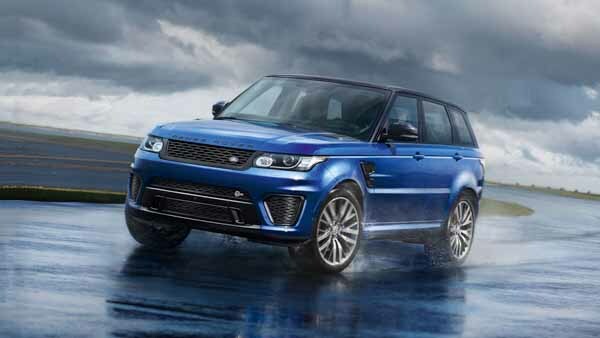 In 2015, the Sport SVR was added to the lineup with a tuned version of the 5.0 supercharged V8 motor capable of producing just under 550 horsepower. It proved to be a force to be reckoned with as it can run 0-100 km/h in under 5 seconds! While it features all the same options with top of the range Range Rover Sport models, new racing seats are fitted up front, and unique leather colour schemes are on offer. Aluminium interior trim is standard with carbon fibre available as an extra. On the outside, it may look similar to standard models. However, lots of black inserts, desirable rims and separate badges set this model apart from the rest.